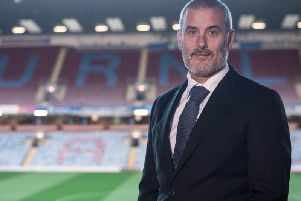 Rigg only came on board as technical director in November, but, he has been impressed with Dyche’s vision and ability to communicate. 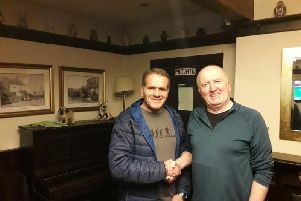 The 49-year-old has been technical director with the FA of Wales, Blackburn Rovers’ chief scout, head of player acquisition at Manchester City, technical director at QPR, head of talent identification at the Football Association, and chief footballing officer at Fulham. But he said: “I have been doing this 32 years. I have been fortunate enough to do this at a number of clubs. “Sean is probably the best manager I have ever worked for and with. 100 per cent. “He knows what he wants and what he likes. He is in a pressure environment but he is really clear, he has a really clear vision, a really clear philosophy. “He is a great communicator and the environment which we works in makes it really conducive. “He could have thrown me under the bus in January and said we have got to get some targets. “But what we are trying to equate from this is that it is not my decision, I am just part of the process. There has to be checks and balances along the way. “That is where the manager is brilliant. He has said to me all along that we need some targets now but we are also trying to think about the other transfer windows along the road.